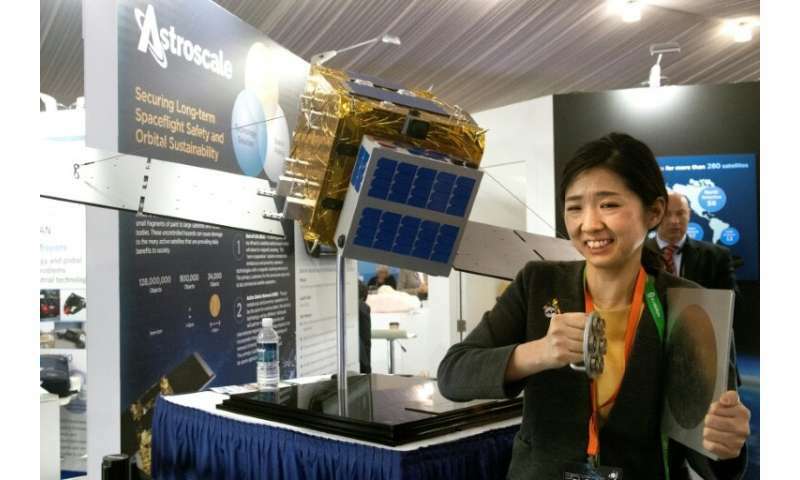 The 46-year-old Japanese entrepreneur founded the start-up Astroscale in Singapore in 2013 with the sole aim of launching "space sweepers." The company—now based in Tokyo—has 71 employees. 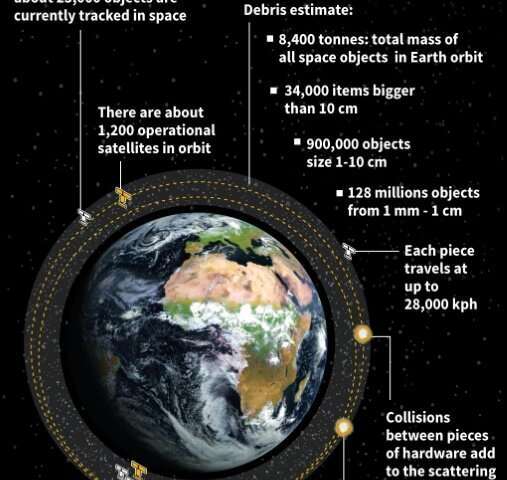 A demonstration will take place in 2020 when an Astroscale satellite will capture one of the company's own mini satellites and try and nudge it out of its orbit—with the goal of pushing it into the atmosphere to burn up. AFP caught up with Nobu Okada at the 35th Space Symposium—a large meeting of the space industry in the US state of Colorado. "Before we set up this company, people had no idea how much money, it would cost to remove one debris, because there were no proven technologies. People were thinking 100, 300 or 500 million dollars to remove one object. But our price—it depends on the situation of the objects in space—but it is far, far less than that."